We manufacture a wide range of tapes, using both natural and man made fibers. Our tapes meet the needs of diverse industries. We manufacture and export a complete line of Elastic Tapes in various knits, sizes and textures for use in diverse products. Our range of tapes are provided with special dyeing and finishing for meeting industrial requirements. Depending on the end use, our tapes are made from both natural and man made fibers. 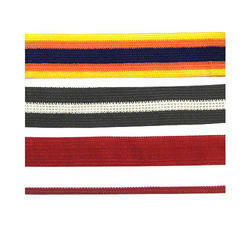 We manufacture an assortment of specialized Bedding Mattress Tape in various colors and designs. These tapes are specially constructed for providing a perfect fit between the bindings and the mattress fabric. These tapes can also be customized in terms of designing, weaving and dimensions as per individual requirements. 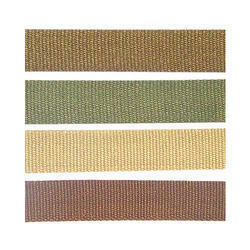 We manufacturer pure and blended cotton tapes in a spectrum of shades, and in different finishes. 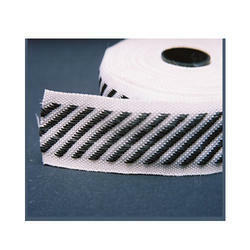 Cotton Tapes are available in innumerable patterns, weaves, and designs to suit the varying requirements of customers. 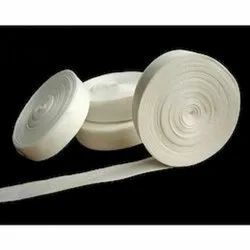 We provide cotton tapes in different Widths and Thickness to enable them for usage in a number of industries. 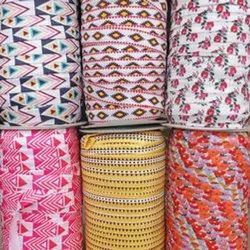 We are one of the leading manufacturer, trader & exporter of Double Sided Cotton Tapes in Mumbai, India.Applications:Flexo printingGripping of objects on glass, metals, wood, etcElectrical components. 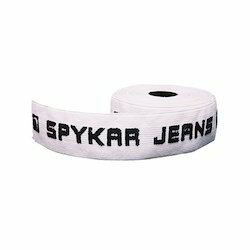 We are one of the leading manufacturer, trader & exporter of Polypropylene Tapes in Mumbai, India.Polypropylene Tapes are widely used for manufacturing of the bags. Owing to their superior quality and proper finishing, these Polypropylene Tapes are the best available in the market. 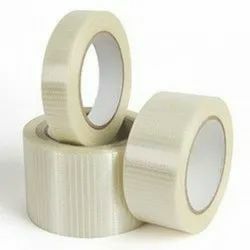 We are the Leading Manufacturer , Exporter & trader of Printed Elastic Tapes in Mumbai, India.These are Suitable for fastening purpose, our given elastic tape is produced using high review crude material and advanced strategies as per the set standards of business. Our offered elastic tape is accessible in different customized appealing shades and outlines keeping in mind the end goal to meet the differed needs of the clients. 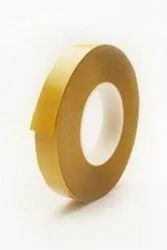 We give this elastic tape in mass amount inside indicated time allotment at affordable rates.